Tablets are versatile devices with seemingly no end to their uses in both personal and workplace environments. Tablets offered on consumer markets provide a standard set of features that cover many use cases – human interaction, wireless internet connectivity, location services, and more. However, these standard features may not include interfaces and features required for specific industry uses, enable long term supply chain stability, or be sufficiently controllable in their configuration for security. Connectivity: Consumer tablets are often only fitted with the bare minimum in terms of external connectors, such as a micro USB connector. Custom devices can add any connectors that enable specific applications. These can include custom interfaces to sensors, CAN, Ethernet, serial, analog, wireless antennas, or more. These custom interfaces can be fully waterproof or dustproof to meet application needs. Ruggedness: Often, tablet devices must endure specific environmental conditions. Protection against extreme temperatures, rapid temperature changes, and intense sunlight is common. Vibrations, sudden impacts, changes in pressure, and accommodation of explosive atmospheres can also be provided. Look and feel: Tablet enclosures can be designed for a specific look and feel with a private label or company logo. The user interface can be customised to represent your business or even just be made more comfortable or easy to use for critical operations, such as by adding physical buttons. Custom software: Most tablets run one of the Android, Windows, or iOS operating systems (OS). Custom tablets can additionally utilize open source operating systems such as Linux or real-time operating systems such as VxWorks. An important modification in terms of security is adding OS lockdown that modifies the operating system to run only specified programs, or to restrict various tablet settings, require logins and enforce access policies. Customised fleet management can add asset tracking by serial number, controlled software updates or even facilitate theft-prevention through GPS-based operation. Identifying the right custom tablet or custom device vendor can be difficult. A number of factors combine to deliver a tablet which meets required specifications, use cases, and performance, while managing costs and long term availability. A brief list follows. Technical specifications and device performance: The ability of the custom tablet to adequately perform its intended function is table stakes in evaluating the success of the resulting device. Critical to success is proper requirements definition based on defined use cases, and not just listing a processor’s operational frequency and amount of memory. Up-front understanding of use cases is fostered via a technical interchange meeting between the customer and a cross-functional team of experts provided by the vendor who designs the custom tablet. Minimally, this cross functional team should consist of system, electronic, software, and mechanical engineering. On-site face-to-face meetings are preferable to enable white board sketching and in general promote tight interaction. Some custom tablet vendors do not offer in-depth use case and requirements analysis, cross-functional engineering design team collaboration with customers, or collocated meetings, and thereby risk delivering a product that may not adequately function when deployed. Software expertise and source code availability: Software is often the critical link required to successfully deploy an application within a custom tablet or device. Customization of the operating system is required to recognize application-specific functions such as nonstandard interfaces, enable dynamic power management, facilitate security, and design a responsive and functional user interface. Vendors of some processors, often utilized in high volume tablet or smartphone product, may not make operating system source code fully available, or may not offer support in customizing the OS. This may result in a device that cannot fully communicate with or control its intended functions, often resulting in corner case problems, such as suspend/resume modes that enable battery efficiency. The custom tablet vendor should have internal expertise in customizing the OS, and access to full source code, for good results. Long term availability: Most custom designed tablets or tablet-like devices require long term availability, often more than five or even ten years. Crucial to long term availability of the custom device is the long term availability of its constituent components. Processors, memories, displays, sensors, connectors, wireless modules, and more must have supply chain stability. Some vendors of custom devices quote low unit costs because they have access to excess supplies of older components. For example, some manufacturers of low cost Android-based devices utilize processors based on older ARM cores, such as Cortex-A7. Availability of such processors may not exceed the vendor’s currently available supply, and the use of an older technology may limit device performance and upgrade. Once exhausted, there may be no option other than a device redesign to accept a new processor. Unless the customer has upfront visibility into total product volume requirements, and the ability to purchase upfront lifetime inventory, there is huge risk to long term ability to procure the device. Redesign may require costly NRE, product recertification costs, and time in the market. Development and unit pricing: Custom tablet and device design pricing consists of two factors – design costs and price of production units. Design costs, also called Non-Recurring Engineering (NRE) costs cover a multitude of design activates required to specify, design, build, test, certify, and deliver the custom device. NRE typically covers engineering time, the acquisition of materials for development, prototypes, and early production units, regulatory certification testing, tooling costs (such as circuit board solder stencils, production line setup, test fixtures, and molds for plastics), and perhaps NRE to design a custom component. Unit price includes the costs of the raw materials, assembly, test, packaging, and more. Different custom tablet providers offer varied NRE and unit price structures. 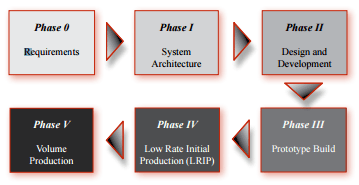 Low NRE costs often indicate a minimal design process where the up-front system engineering is minimized. Cutting design corners raises risk of success later on. A commitment to the purchase of a minimum number of production units may also lower NRE, since the vendor will be able to adequately recover design costs. As mentioned above, low unit prices may indicate the use of older or excess inventories that may limit long term availability or product performance. A good point of comparison for unit price is with a similarly sized tablet offered by a manufacturer such as Samsung or Apple. Tablets designed by these companies utilize quality components in very high volumes (hundreds of thousands or millions) and therefore have large budgets to optimize product design and cost of components that are amortized across a large number of units sold. Custom tablets and devices are often sold in far smaller volumes (tens, hundreds, or thousands of units), often add features, and cannot amortize large design budgets across large numbers of units. Therefore, a custom device often costs more than an equivalently sized Galaxy or iPad tablet without removing functionality. Quotes for lower cost custom devices may indicate the use of excess component inventories or older and lesser performance components. Ownership of intellectual property: Custom tablets and devices are often designed by modifying existing tablet designs or using reference designs. Vendors therefore often leverage pre-existing intellectual property (IP). Or, vendors may offer lower NRE but maintain exclusive ownership of the design and production rights. Some vendors may allow purchase of the design and/or production rights. Other companies may not be willing under any circumstance to yield manufacturing rights (which could be another indicator of utilizing components that are constrained in availability). It is incumbent to fully understand IP ownership and production rights prior to signing a custom tablet vendor. Quality: Custom devices must be designed and manufactured such that the resulting product satisfies use cases, operates reliably, and does not easily break in the field. One way to assess meeting use cases and requirements is for the vendor to provide an agreed upon requirements document with all requirements and metric-able acceptance criteria prior to design commencement. Production facilities should have appropriate quality certifications (such as ISO 9001, AS9100 for military and aerospace, and ISO 13485 for medical) by well-known quality auditors, allow visits by the customer’s quality teams to all production facilities, including to witness production in progress, and provide traceable component supply chains when needed. The design and production of a custom tablet is a complex undertaking with a number of aspects where technology, price, long term availability, and quality must be traded off. It is crucial to understand what is behind a vendor’s quote prior to proceeding – design process, component availability and performance, production rights, and approach to quality. A quote for low NRE or low unit pricing may have a constraint, explicit or hidden, that may or may not be acceptable. InHand Electronics designs custom tablets, custom circuitry, and custom devices for industrial, medical, and military applications. Our quoting process clearly outlines the design process (including up-front system engineering), schedule, NRE (with firm fixed price typical), projected unit prices, long term availability, and quality standards. Contact InHand for an evaluation of your custom device requirements.